I keep reading about how statement eyebrows are like so hot right now. Well if that's the case, Frida Kahlo was well ahead of the trends. She was in French Vogue don't you know? Today is her Birthday so I thought it right and fitting that I pay homage to one of my favourite artists. 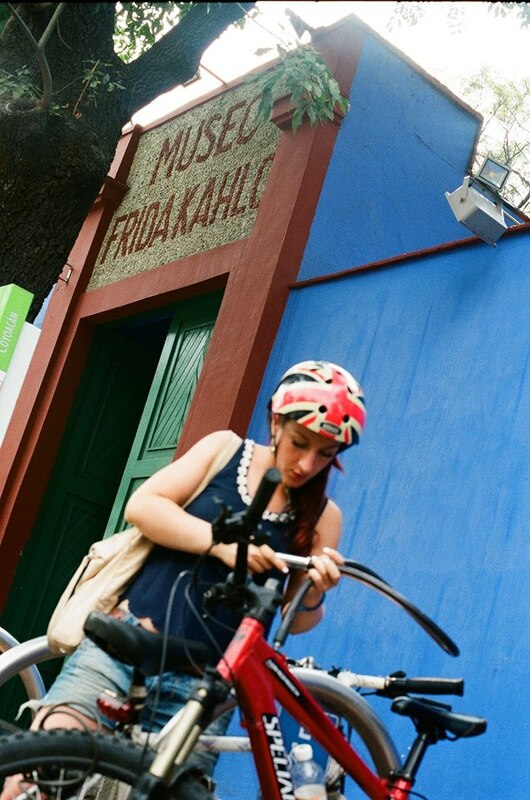 A few weeks ago I got on my Mexibike and cycled across town to The Blue House (La Casa Azul) she shared with Diego Rivera that has been made into a museum. 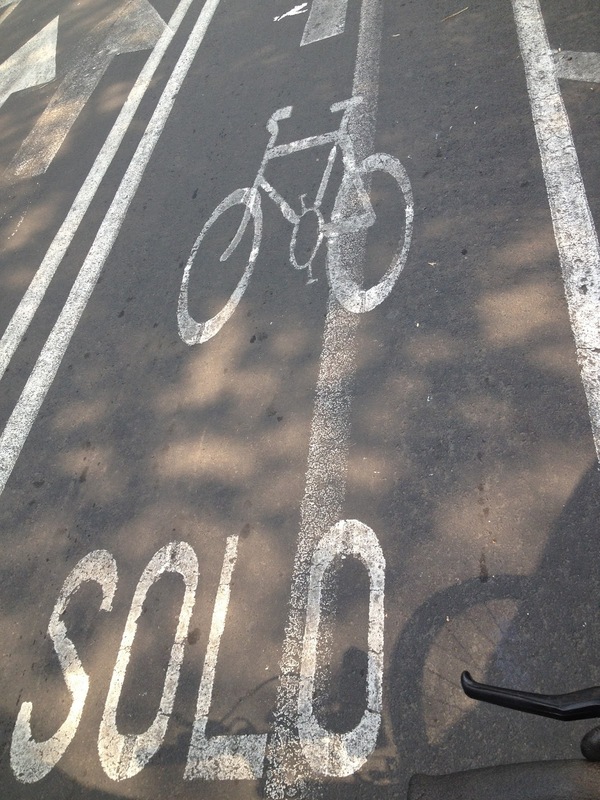 It is in Coyoacán, a beautiful colonial district of Mexico City which is great for cycling. Away from busy main roads, most of the streets are quiet, residential, one way and have special bike lanes. 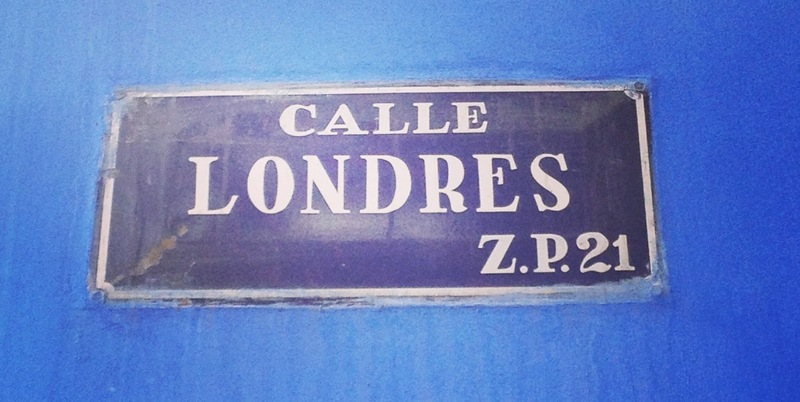 The museum is on Calle Londres so I felt right at home. You can lock up right outside. 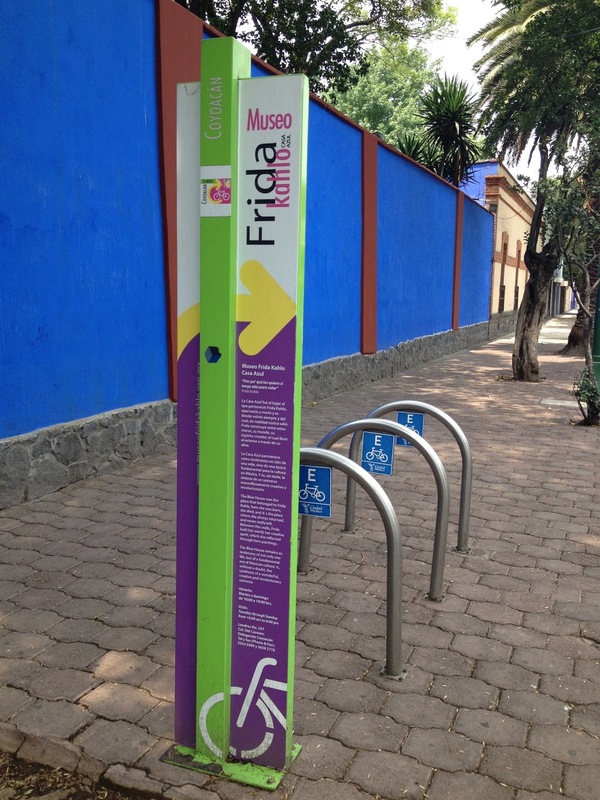 If you are in Mexico City you should definitely check the Museo Frida Kahlo out. They recently discovered a suitcase of her clothes in the attic so these are on show at the moment along with pieces from famous designers that have been inspired by her style. All around Coyoacán there are maps and information signs in lots of different languages near bike stands so it's easy to navigate your way around and see the the area by bike. There are also different bike tours available incase you don't want to go it alone.